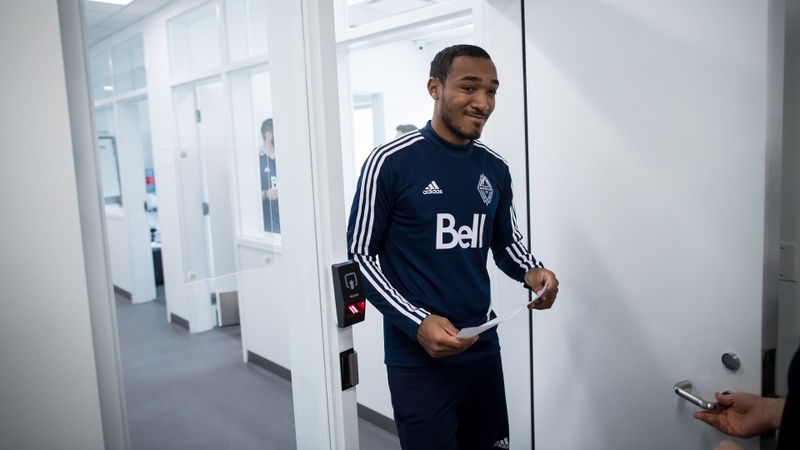 There are a lot of new faces among the Vancouver Whitecaps, and one of them is hoping to form one of the team's top pairings at the centreback position. Derek Cornelius is one of Canada’s rising soccer stars and the club is eager to see where he fits on the back line. Cornelius is just 21 years old, but joins the team with a long list of accolades, including being named the 2018 Canadian Youth Player of the Year. He says a big reason he decided to come to Vancouver was because of the way they developed Alphonso Davies, turning him into an amazing soccer player. He’s also developed a friendship with fellow centre back Doneil Henry from their time playing for Canada’s National Men's team, where Henry has taken Cornelius under his wing. The pair also have big plans for their time together. “We want to be the best centreback pairing possible. The more we train together and play together—we can only go in one direction,” Cornelius said. The Whitecaps acquired Cornelius from Serbian Club FK on Jan. 18, the fifth acquisition for new head coach Marc Dos Santos.